British Brown Bess Flintlock Replica | BUDK.com - Knives & Swords At The Lowest Prices! 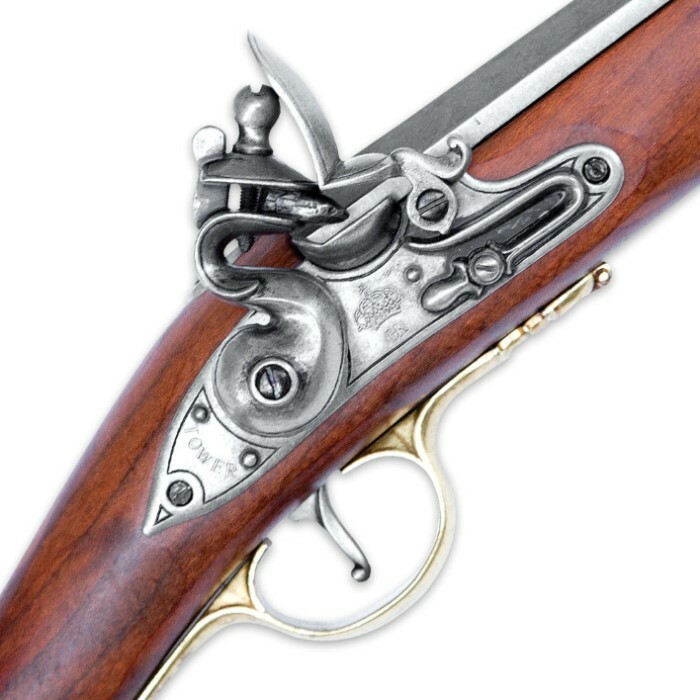 The British Brown Bess Flintlock was one of the most renowned flintlock muskets ever produced and was one of the most significant firearms of the American Revolutionary War. 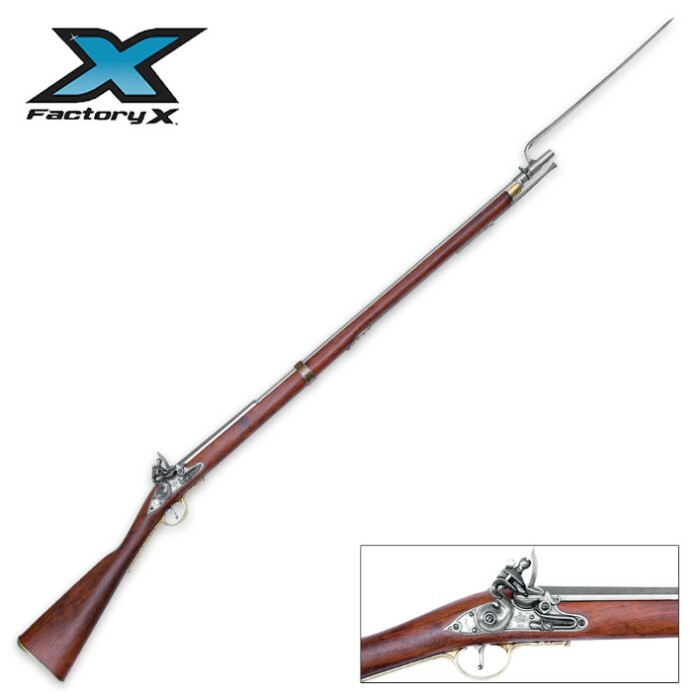 The Continental Army was armed with the weapon at the start of hostilities and, as the war progressed, many more were manufactured locally. It weighed a hefty fifteen pounds with its bayonet and fired a ball three quarters of an inch in diameter. 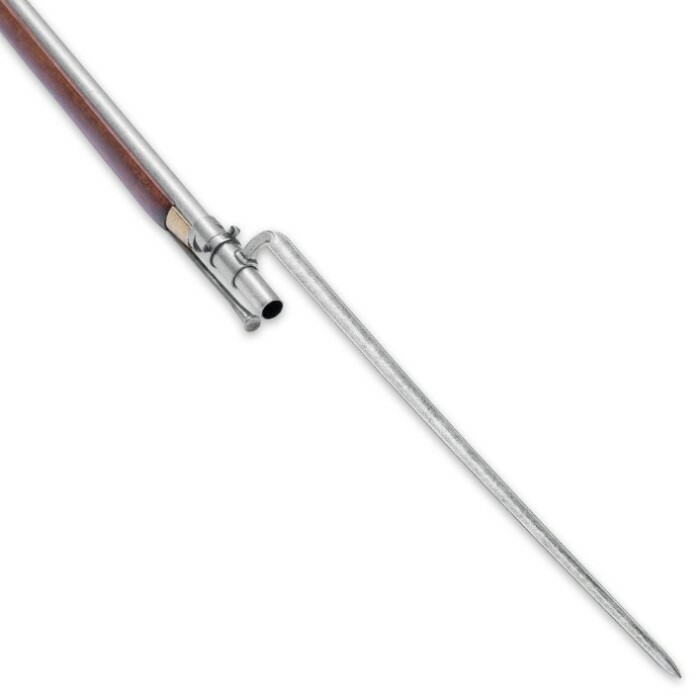 This non-firing version is accurately detailed and comes complete with its removable bayonet.